I’m just going to put it all out there–when it comes to football, I have absolutely zero interest. However, the food that comes with game day? That’s a different story. So, Super Bowl Sunday is very exciting for my taste buds. These spicy cauliflower bites are the perfect, healthier alternative to wings or chips. They’ll be the perfect snack to nibble on so you can still feel included in the calorie-splurging that many partake in on this athletic holiday. 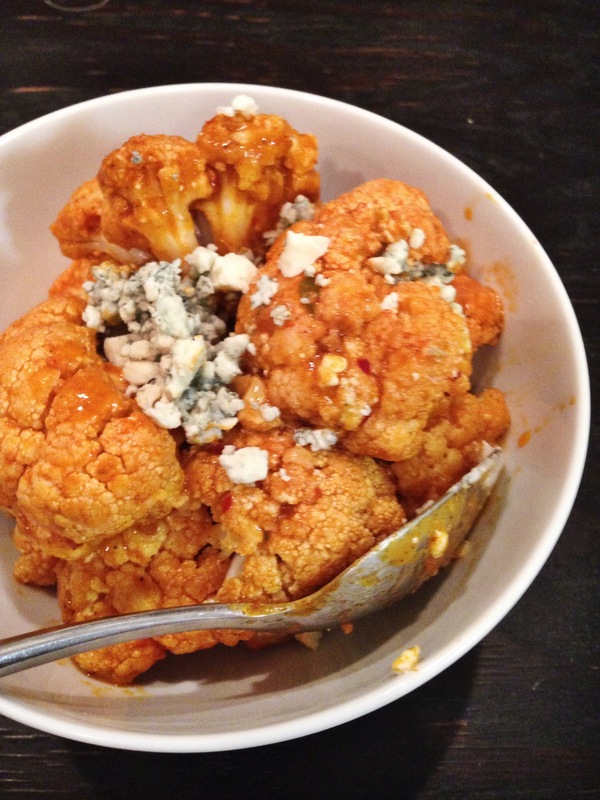 And because who doesn’t like buffalo sauce and blue cheese with a side of touchdowns and tackles? These cauliflower bites won’t leave you feeling guilty, and it’s okay because according to the CDC, one cup of this cruciferous vegetable contains only 15 calories, 0g of fat, and 0mg of cholesterol! 5. Top with blue cheese crumbles and you’re good to go!